Eds. Paul D. Miller and Svitlana Matviyenko. Cambridge: MIT Press, 2014. Read my Introduction to the book. 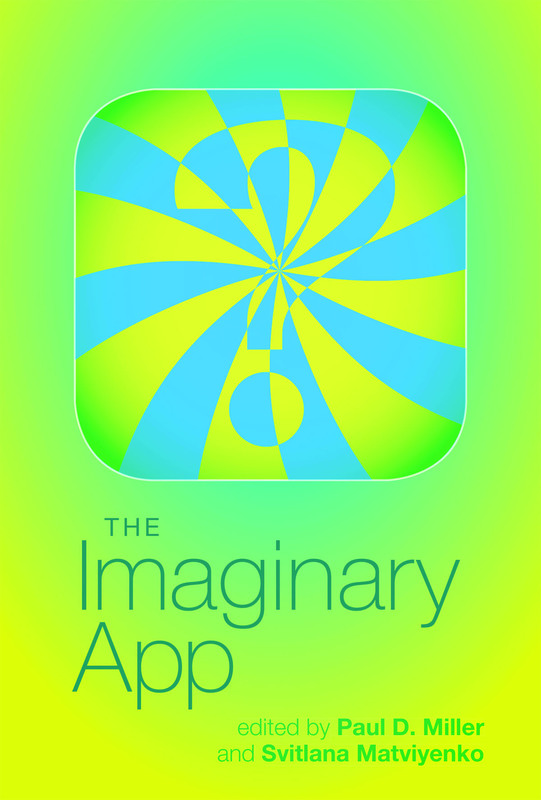 The Imaginary App is a collection of essays on mobile apps and cloud computing. Mobile apps promise to deliver (h)appiness to our devices at the touch of a finger or two. Apps offer gratifyingly immediate access to connection and entertainment. The array of apps downloadable from the app store may come from the cloud, but they attach themselves firmly to our individual movement from location to location on earth. 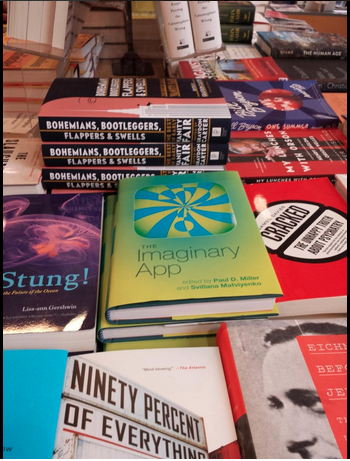 In The Imaginary App, writers, theorists, and artists explore the cultural and technological shifts that have accompanied the emergence of the mobile app. These contributors and interviewees see apps variously as “a machine of transcendence,” “a hulking wound in our nervous system,” or “a promise of new possibilities.” They ask whether the app is an object or a relation, and if it could be a “metamedium” that supersedes all other artistic media. They consider the control and power exercised by software architecture; the app’s prosthetic ability to enhance certain human capacities, in reality or in imagination; the app economy, and the divergent possibilities it offers of making a living or making a fortune; and the app as medium and remediator of reality. Governed by algorithms potentiality to connect without thinking, immediately and intuitively, is the very definition of “appiness” in today’s technological arrangement. But what about the stubborn letter “h” that “always arrives to its destination” despite that it’s bracketed from the notion? We keep hearing and seeing it—the fossil or the ghostly shadow of humanness—there, where it is not.